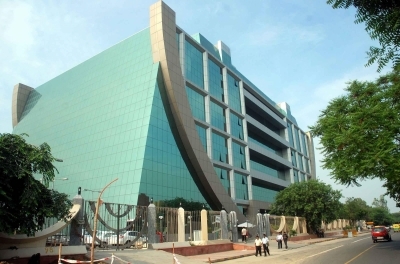 New Delhi, Aug 18 (IANS) The CBI has registered an FIR against a former Assistant Geologist and others in connection with illegal mining of minerals in Uttar Pradesh’s Shamli district and conducted raids in this connection, an official said on Friday. “The case was registered against nine accused, including then Assistant Geologist of Shamli, and others in connection with illegal mining of minor minerals in Shamli. The CBI conducted searches at 10 places in Delhi, Haryana, and Uttar Pradesh,” Central Bureau of Investigation (CBI) Spokesperson R.K. Gaur said. The raids were conducted in Delhi, Lucknow, Aligarh and Baghpat in Uttar Pradesh, and Haryana’s Bhiwani, Sonepat and Panipat, during which incriminating documents and articles were seized from residences of the accused. Former Assistant Geologist Adal Singh, Amir Siddiqui, J.P. Pandey, Vikas Verma, Amrendra Singh, Satish Kumar, Sandeep Rathi, Mangal Sain Verma, Ramesh Kumar Gahalyan, and other unidentified persons were booked on charges of criminal conspiracy, cheating, theft and extortion, under the Indian Penal Code and the Prevention of Corruption Act. The CBI registered a preliminary enquiry on February 23 to probe the case.